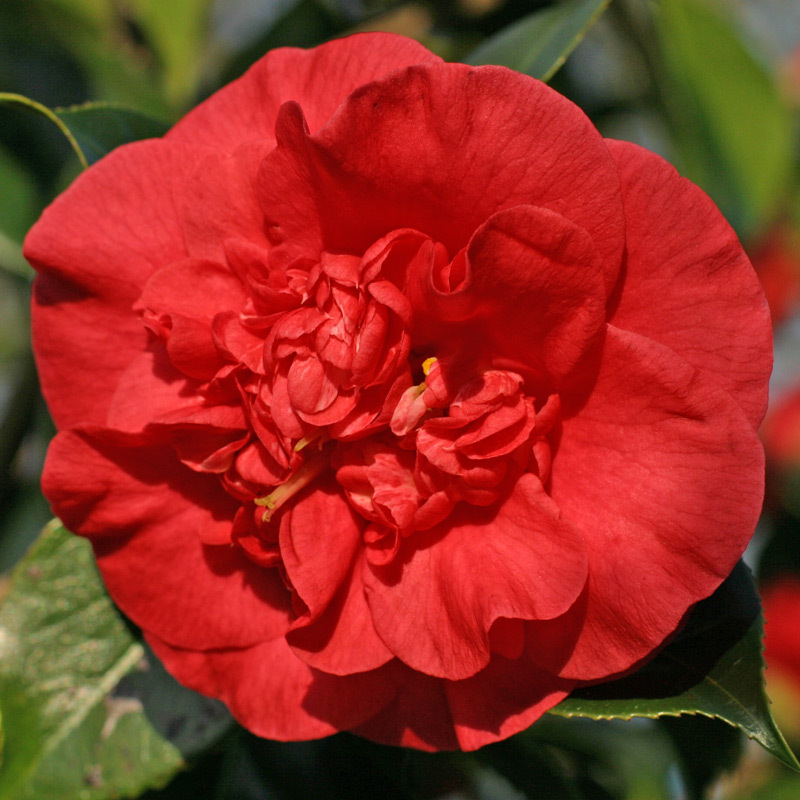 Camellia japonica ‘Kilvingtoniana’. The correct name is ‘Gigantea’, for which ‘Kilvingtoniana’ and numerous corruptions of it, are synonyms. ‘Gigantea’ however is used worldwide for a virus variegated form, so the solid red form has been designated ‘Gigantea Red’.